If you are looking add more dark leafy greens into your diet, this easy snack is one that will do the job! 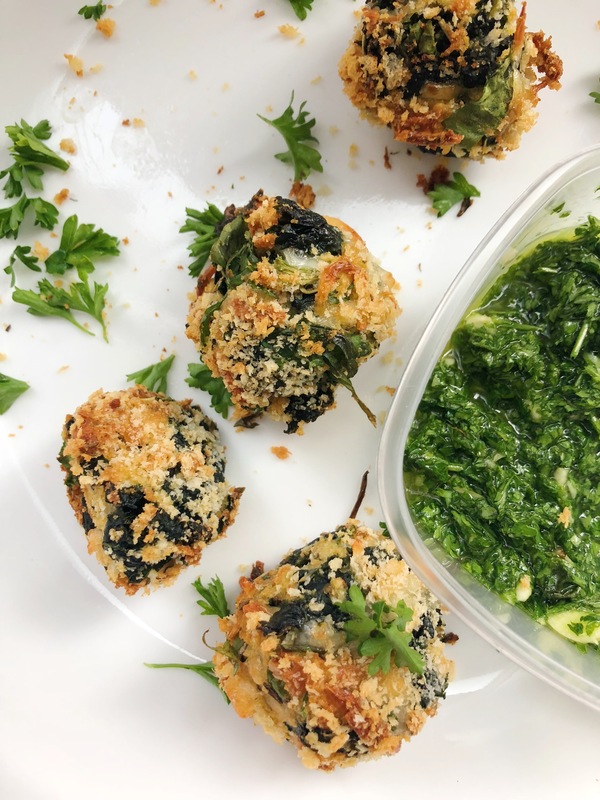 These spinach bites are very fun and kid-friendly, easy to make with a short ingredient list, and packed with many nutrients such as fiber and vitamin C. So yummy and crunchy, you’ll want to keep making these! Add the garlic and cook for 1-2 minutes. Remove the pan from the heat and let cool. In a large bowl, combine the stuffing mi (or panko crumbs), spinach, eggs, cheese, salt and pepper, habernero pepper (optional) and onion/garlic mixture. Combine well. One at a time, using your hands, roll the mixture into individual 1-inch balls (or use a cookie scoop). Place each one on the parchment-lined baking sheet. Bake the balls for about 15-20 minutes, or until very slightly browned. Dipping sauces: Select your favorite. Here are some ideas: marinara sauce, ranch, greek yogurt, sour cream, horseradish, etc.